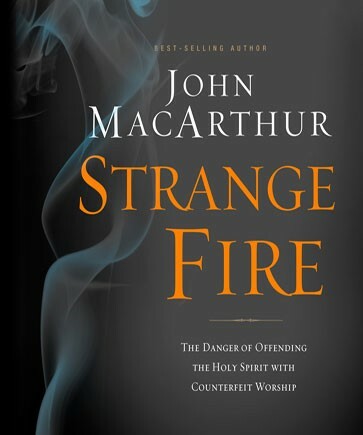 Strange Fire: The Danger of Offending the Holy Spirit with Counterfeit Worship, John MacArthur. Nashville: Nelson Books, 2013. Hardcover, 352 pages, $22.99 USD. Although this is a great read, I hummed and hawed about writing a review. After all, I reasoned, I don’t know too many people who would be susceptible to the types of errors exposed in this book. I thought that most of the people I know, inside my church and elsewhere, are discerning enough to realize that the teachings exposed in this book are gospel-denying and soul-threatening. But some friends demurred. Some friends insisted that I write this review because they know people who are being lured by these sorts of teachings. Moreover, it could very well be that I’m over-estimating the level of discernment around me. What sorts of false teachings are being addressed in this book? The basic thrust of Strange Fire is to address the error known as continuationism. Reformed believers are cessationists – this means that we believe that the apostolic gifts (including speaking in tongues) ceased at the end or shortly after the end of the apostolic era. Continuationism, on the other hand, maintains that these gifts continue. We should expect to see miracles, including healings and speaking in tongues in our present day. This is the view held by Pentecostals and charismatics – as well as by a few others. A false teaching that often goes hand in hand with this is the so-called Prosperity Gospel. This is the teaching that the good news is that Jesus wants to bless you with health and wealth. Popular proponents of these false teachings include Benny Hinn, Kenneth Copeland, and Joyce Meyer. This book deftly exposes these teachings as false and does so with the Word of God. John MacArthur is a well-known preacher and writer. He has been the pastor of Grace Community Church in Sun Valley, California since 1969. This is not his first book on the topic. Back in the early 1990s, he wrote Charismatic Chaos. Unfortunately, since then, the popularity of these teachings has grown significantly. In the early 1990s, these views were widely considered to be on the fringe of American Christianity. This was not only because of the positions taken on spiritual gifts, but also because of other doctrinal issues, especially unorthodox views of the Trinity. In the early 1990s, you could not typically find books by men like Creflo Dollar or T. D. Jakes in your average vanilla Christian bookstore. Today, they’re everywhere and nobody seems to care. That does make Strange Fire an even more important book for our day. The basic argument of the book is simple: continuationism is an assault on the sufficiency of the Word of God. MacArthur doesn’t just say it, he shows it. He gives numerous examples of how continuationists are turning people away from the Scriptures as the only authoritative source of divine revelation. He explains how the Bible itself speaks of its own sufficiency. Not only should we not expect charismatic gifts, we do not need them, because the Holy Spirit has given us something far better: the written Word of God. I appreciated this book especially because of the author’s commitment to a high view of Scripture. I applaud his boldness in applying Scripture to this contentious issue and also, most importantly, showing us how the gospel is at stake with this. He has been attacked and maligned for his stand, but from a Reformed point of view, we can do nothing but encourage him to continue standing fast on this issue. Yes, MacArthur has his own theological blind-spots. I wish he were Reformed in his views of baptism and eschatology, for instance. However, I didn’t detect any of those blind-spots in this book. So, until some more consistent and confessionally Reformed author comes with something better, this is the book that I will be recommending to everyone on this issue. 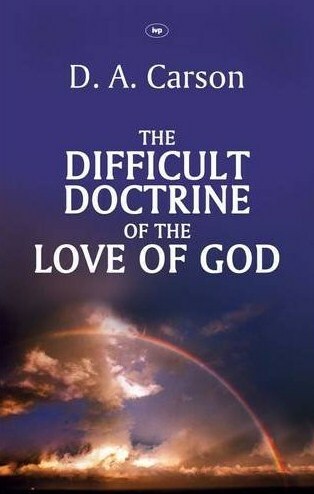 The Difficult Doctrine of the Love of God, D.A. Carson, Wheaton: Crossway Books, 2000. Softcover, 93 pages, $12.48. When it comes to evangelism, there are few topics as hot in Reformed circles as the love of God. How do we reconcile God’s love with God’s sovereignty? How can we do justice both to his love and his wrath? Is there any sense in which we can or should tell unbelievers that God loves them? Questions like these motivated my purchase of this book. The name of D. A. Carson associated with this topic was a second factor. Carson is a New Testament professor at Trinity Evangelical Divinity School. He has written many books and several helpful commentaries. Carson is sympathetic to many of the concerns of Reformed believers (he quotes from Herman Bavinck and Charles Hodge) and is Calvinistic in his doctrine of salvation. He recognizes and criticizes many of the weaknesses of American evangelicalism, also in this book. Moreover, he is a very careful scholar. His care is evident in this concise treatment of an issue that vexes many. Strong opinions are found everywhere, but seldom does one find the balance that Carson strikes. He not only acknowledges but also meaningfully tackles the Scripture passages which speak of God’s wrath towards unrepentant sinners. He exposes as baseless clichés such as “God’s love is unconditional” and “God loves the sinner, but hates the sin.” At the same time, he takes on those who would interpret the “world” in John 3:16 to mean “God’s elect.” For such a short book, a lot of ground is covered! Though I can urge its purchase upon those who share a passion for sharing God’s love in Christ, I do so with one reservation. Carson’s argument for telling unbelievers that God loves them is not convincing. He convinces us that there is some sense in which this is true. But he does not demonstrate that this was the tack taken by the apostles or the early church. Nor does he show that the sense in which God loves unbelievers can be adequately expressed to those who are outside of Christ. Excepting that point, readers will find that Carson makes a difficult doctrine a bit easier. 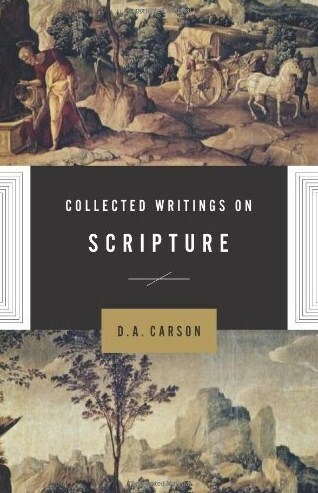 Collected Writings on Scripture, D. A. Carson, Wheaton: Crossway, 2010. Hardcover, 335 pages, $30.99. Let me say right away that this book is not written for a broad audience. The readers who will most benefit will be biblical scholars/professors, pastors, seminary students, and perhaps others who have at least an undergraduate university education. This is a collection of mostly technical or more academic essays on the Bible. While Don Carson is able to write at a more popular level, these essays find him addressing complex issues that require more advanced responses. If terms like epistemology, redaction criticism and perspicuity don’t need explanation, then you should find this book accessible. Carson is research professor of New Testament at Trinity Evangelical Divinity School in Wheaton, Illinois. He is the author of many books and articles and a popular speaker on the Christian conference circuit. While ecclesiastically a Baptist, he does hold Calvinistic convictions when it comes to the doctrine of salvation. Most importantly, he believes in a high view of Scripture – and that’s clear in this volume. When it comes to bibliology (the doctrine of Scripture), Reformed Christians have an ally in Carson. Collected Writings consists of two parts. Part 1 contains five lengthy essays. The first, “Approaching the Bible,” is the most accessible and gives a basic introduction to biblical hermeneutics. “Recent Developments in the Doctrine of Scripture” is an older essay that surveys various challenges faced by a high view of Scripture’s inspiration, infallibility and inerrancy. “Unity and Diversity in the New Testament: The Possibility of Systematic Theology” takes on the often-discussed relationship between systematic theology, exegesis, and biblical theology. “Redaction Criticism: On the Legitimacy and Illegitimacy of a Literary Tool” – the title speaks for itself. Finally, the last essay answers the question “Is the Doctrine of Claritas Scripturae Still Relevant Today?” Part 2 features reviews of several books dealing with the authority, character, and interpretation of the Bible. It should be readily apparent that all of these essays and reviews consist of previously published material. The church always faces challenges with regards to the doctrine of Scripture and so a book like this is always relevant, even when it features essays written in the early 1980s. I appreciate Carson’s lively defense of biblical inerrancy – a doctrine that needs to be freshly appropriated and guarded in our generation. Today there are also efforts underway to discount the contributions of systematic theology in favour of biblical theology – Carson brings a valuable perspective to this important debate. With the book reviews in part 2, two of them are particularly worth noting: Peter Enns’ Inspiration and Incarnation: Evangelicals and the Problem of the Old Testament; N. T. Wright, The Last Word: Beyond the Bible Wars to a New Understanding of the Authority of Scripture. The Enns book is important because it resulted in his departure from Westminster Theological Seminary in 2008. N. T. Wright is a popular figure associated with the false teaching known as the New Perspective on Paul. Both works require a fair and critical analysis and Carson provides it. In the end he makes it clear that men like Enns and Wright do not hold to the highest view of Scripture – to a thoroughly biblical view of the Bible. I don’t have any serious problems with this volume. The only points that I might raise are incidental to its purpose and program. For instance, there’s footnote 35 on page 66 which regurgitates the old “Warfield was an evolutionist” line. More recent research by Fred Zaspel dispels that myth. As another example, on page 178 Carson states that Cornelius Van Til is right in his development of a biblical theory of knowledge (epistemology), “but then wrongly demands a presuppositionalist apologetic.” Unfortunately, this statement comes right at the end of an essay and is prefaced by the disclaimer that Carson cannot here defend his view. I’d like to hear more on that, because I’m not convinced. Could we not have had at least a footnote to some further discussion on that point somewhere else? Don Carson is one of the most important theologians of our day. What makes him worth listening to is the fact that he humbly listens to our Father. I think these words sum it up: “…the aim of thoughtful Christians, after all, is not so much to become masters of Scripture, but to be mastered by it, both for God’s glory and his people’s good” (40). At the suggestion of Carl Trueman, I’ve been reading David Hackett Fischer’s Historians’ Fallacies: Toward a Logic of Historical Thought. Each chapter outlines a set of fallacies pertaining to historical method. At the end of each chapter, Fischer presents some positive principles. I’ve been skimming the fallacies and reading the positive principles more carefully. In chapter 5, he appeals to Thomas Kuhn’s work on the history of science. Kuhn, as is well-known by now, conceptualized change and continuity in the history of science by postulating a series of paradigms. This method was later taken over into theology by Hans Kung, and then into the more specific field of missiology by David Bosch (Transforming Mission). Unfortunately, I’ve not come across much critical analysis of this method. Fischer certainly isn’t critical. Bosch’s application of Kuhn in missiology was, it seems, almost universally applauded. In my doctoral research I could only find one obscure review that might have been critical. I could find a reference to the review, but the journal was so obscure that I couldn’t actually get my hands on the review itself. The paradigmatic approach to the history of science was put on a respectable and influential footing by Thomas S. Kuhn, The Structure of Scientific Revolutions (Chicago: University of Chicago Press, 1962, 1970); but the theory has suffered a rather devastating attack in Frederick Suppe, ed., The Structure of Scientific Theories, 2d ed. 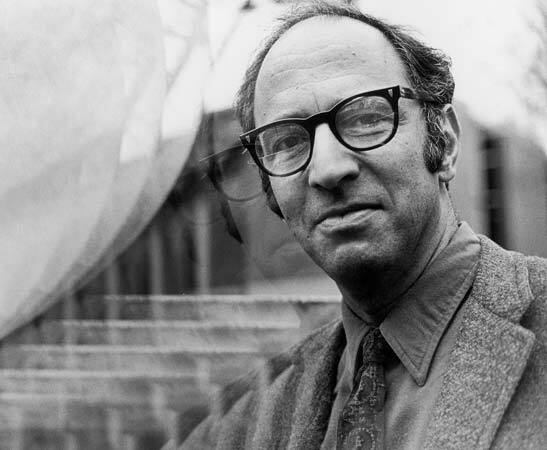 (Urbana: University of Illinois Press, 1977); Galy Gutting, ed., Paradigms and Revolutions: Applications and Appraisals of Thomas Kuhn’s Philosophy of Science (Notre Dame: University of Notre Dame Press, 1980). I have not read the books of Suppe and Gutting, but I think I will. They could be helpful, especially in evaluating David Bosch. This is a point that has long been recognized in biblical hermeneutics. However, in the last 20 or 30 years, this notion of accommodation has been revised and “frequently assumed to entail error.” In other words, accommodation rules out inerrancy. You cannot have both. Scholars who have followed this track include Karl Barth, Bruce Vawter, and Clark Pinnock. In faithful biblical hermeneutics it is not a case of either accommodation or inerrancy. It must be both…and.